This is a trial version of a Web Interface based on python under development by CCCR-IITM for users to explore and remotely access subsets (some variables in a particular region for a particular time slice) of authorised datasets available on ESGF in the framework of CORDEX South Asia simulations, and download the selected subset in CSV, Text or NetCDF data formats. 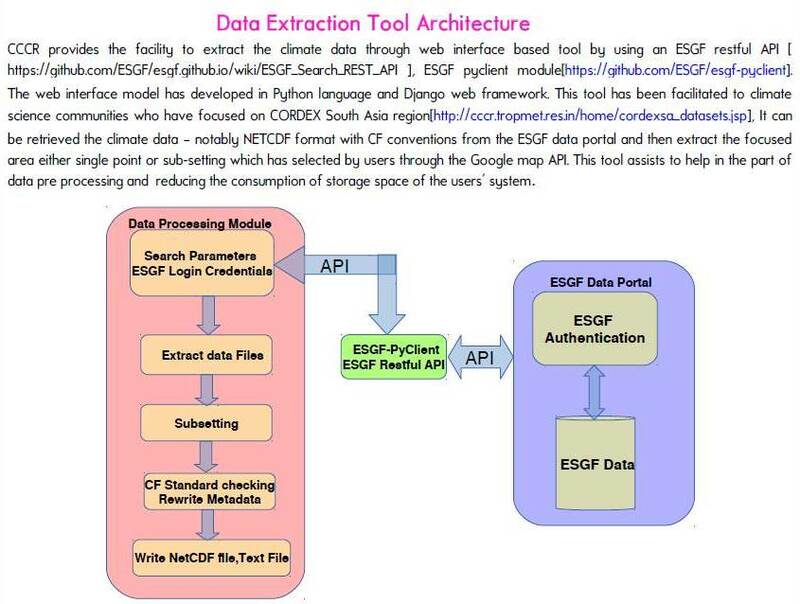 This data extraction tool needs access to ESGF with an Openid and CORDEX project registration. CORDEX also requires a Group Registration (see the detailed instructions on SMHI Website) to access CORDEX data.